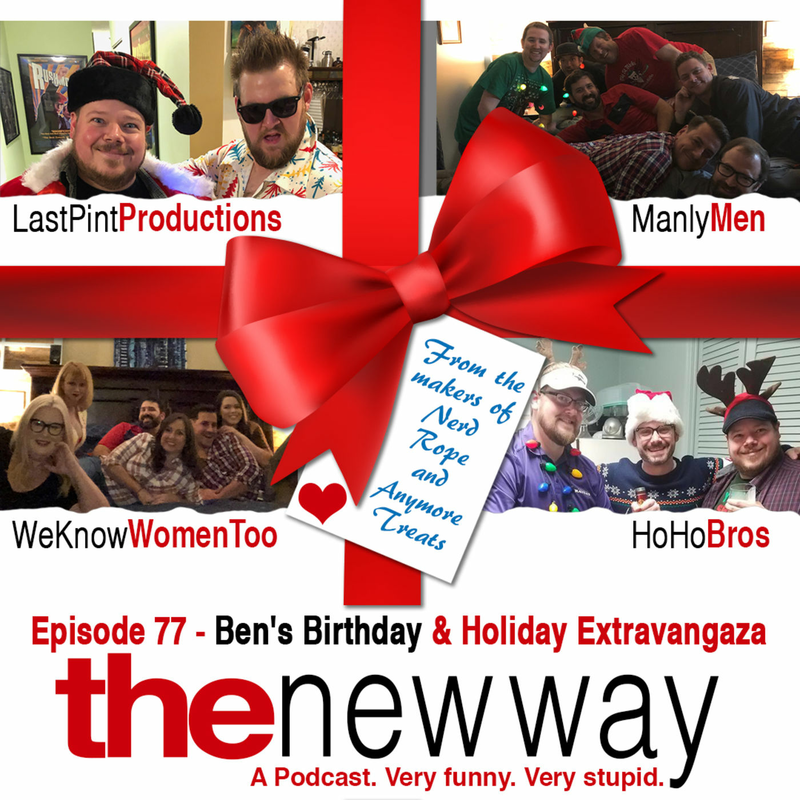 The New Way Podcast closes out the year with it’s final podcast. But don’t be sad, because this is our biggest, most ambitious episode to date! December brings many holidays, including Last Pint Production’s own, Benjamin Effortless Wilson. In honor, we have thrown a huge party at our studios with some of Ben’s favorite people! We have more guests on this episode than we’ve ever had…COMBINED! Plus a few surprise call in guests as well. We wish you and yours the happiest of holidays and hope you enjoy celebrating with this jolly edition of The New Way Podcast!